The classic English Tattersall check twill English fabric with up-dated colours. Straight away you have a stunning fashion shirt. 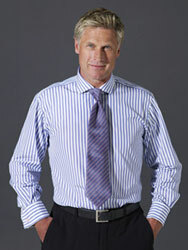 Wear it as a dress shirt to business with a flannel suit or in the traditional way with a blazer or sports coat. Use a plain tie. 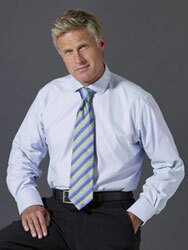 You can also wear the Tattersall Check open necked with a pullover or on its own with jeans or cords. How's that for value.